Buck is a Professional Landscape Architect and has been in continual practice since moving to Jacksonville, Florida in 1994. He has maintained a professional registration in Florida since 1997. In that time he has worked on hundreds of projects, large and small, and for both public and private sector clients. His passion is especially rooted in a design approach based on ecological principles and in discovering the genius loci of each site. His creative and thoughtful designs flow from these two principles, resulting in sensible products that are aesthetically pleasing and ecologically appropriate. a tree’s physical condition. Tree mitigation expenses are almost always reduced through his evaluation process. Since moving to Jacksonville, Buck has been an active volunteer of his time and talent. He and his family have been committed members of San Jose Episcopal Church since 1998, serving in many ways, including a recent term on the church vestry. He currently serves on the Architecture Board for The Episcopal Diocese of Florida, helping to manage the physical assets of over 60 parishes in north Florida. He served six years as a commissioner on the Jacksonville Historic Preservation Commission, as both chairman and vice-chairman and served ten years on the board of directors and the advisory council of JaxPride, now City Beautiful Jax. Buck is an Eagle Scout and a lifelong outdoorsman. He is particularly fond of canoeing, appreciating the beauty and ecology of the region's waterways, ever-drawing inspiration for his work. Buck also practices yoga and Aikido weekly. 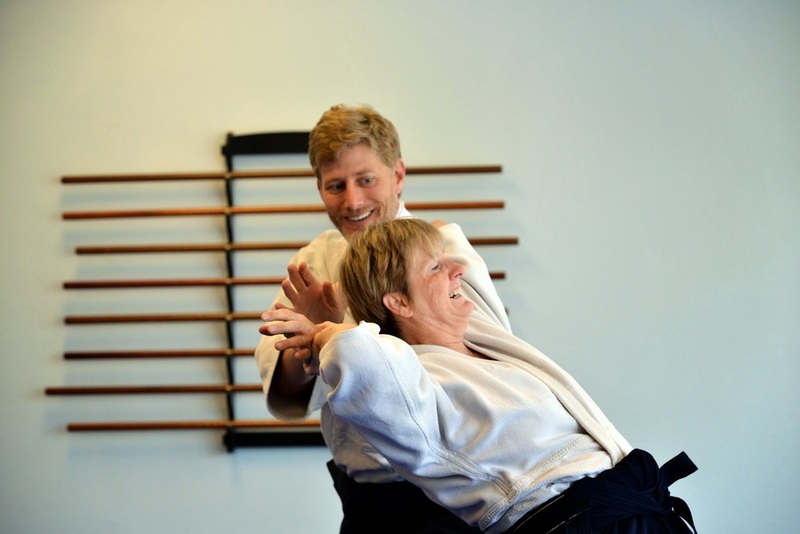 He holds the rank of Nidan in Aikido and practices and teaches at the Aikido Center of Jacksonville.